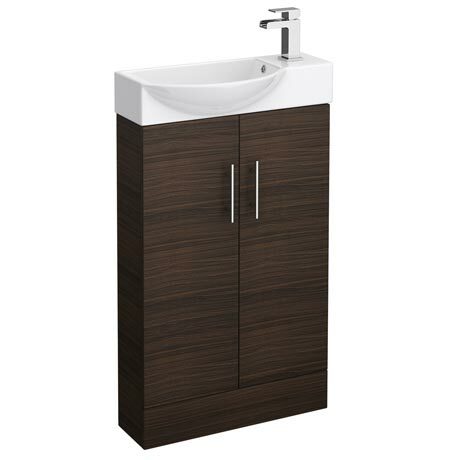 The space-saving Valencia mini walnut vanity unit, provides you with a handy space-saving solution for your cloakroom or en-suite. Unit has a super sleek depth of 155mm! Features a high quality offset ceramic basin with a single tap hole positioned on the right hand side.